Healthy plants contain predictable concentrations of the elements (nutrients) required for normal growth and development. Plants need primary nutrients (nitrogen, phosphorus, potassium) in greatest quantities, secondary nutrients (calcium, magnesium, sulfur) in lesser quantities and micronutrients (iron, manganese, zinc, copper, boron, molybdenum, chloride) in very small amounts. Plants get all these nutrients from fertilizer and/or the soil. Three other elements that plants need – hydrogen, oxygen and carbon – come from water and atmosphere. Most farmers and agronomists use results of plant analysis for understanding, what kind of nutrient elements in the plant are in deficiency, or exceed optimum concentration, necessary for normal plant growth. – to monitor the plant nutrient element status in order to determine whether each tested nutrient is in sufficient concentration for optimum yield. High rates of fertilizer applied each year can accumulate to eventually reach excessive proportions. High soil test P levels can induce Zn deficiency in Zn sensitive crops, such as corn. Heavy K fertilization can induce Mg deficiency when the Mg soil test level is low. Such deficiencies and imbalances can be avoided if the grower will use soil test and plant analysis as monitoring tools. 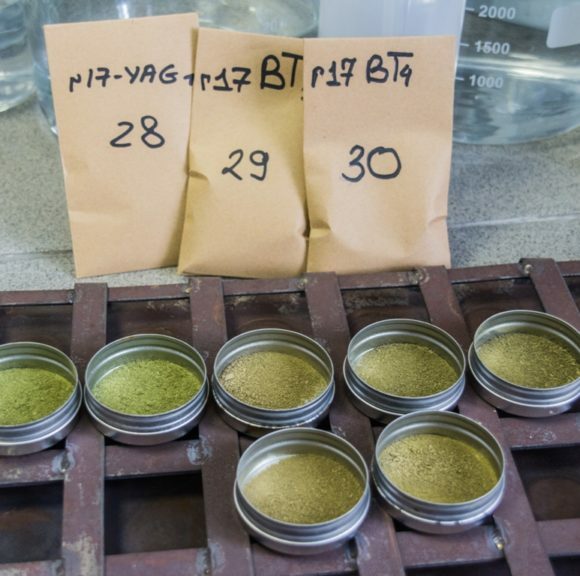 Only a complex solution, visual observation, a soil test and plant analysis effectively evaluate the nutrient element status of the soil-plant environment.